New York Jets quarterback Geno Smith went 16-29 throwing for 331-yards and 2 touchdowns in the win against the Buffalo Bills . 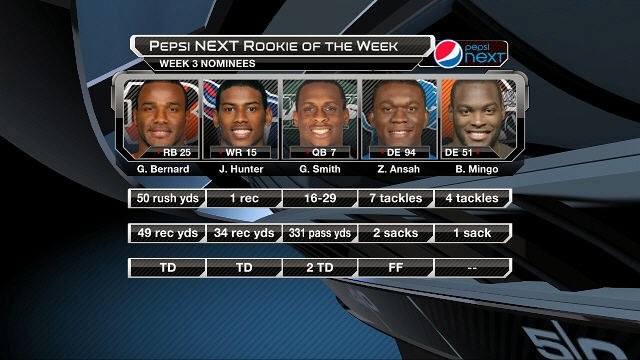 Check out the other nominees for Week 2's Pepsi NEXT Rookie of the Week. 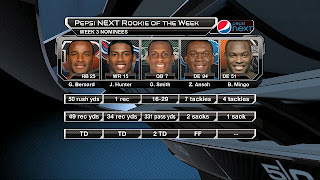 Cast your vote now at NFL.com/rookies.